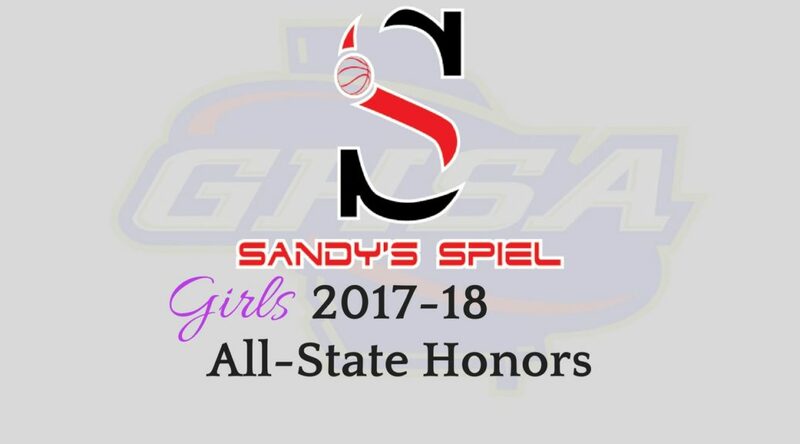 Sandy’s Spiel Mrs. Basketball: Olivia Nelson-Ododa, Winder-Barrow, Sr.
G – Tory Ozment, Buford, Sr.
F – Morgan Jones, Our Lady of Mercy, Sr.
F – De’Sha Benjamin, Laney, Sr.
C – Victaria Saxton, Model, Sr.
C – Olivia Nelson-Ododa, Winder-Barrow, Sr.
G – Jenna Brown, Lovett, Sr.
G – Amaya Register, Wesleyan, Sr.
G – Cameron Swartz, Fellowship Christian, Sr.
G – Brittany Davis, Greenville, Sr.
C – Jessika Carter, Harris County, Sr.
G – Morgan Robinson-Nwagwu, Norcross, Jr.
G – Genesis Bryant, Lovejoy, So. G – Anaya Boyd, Lovejoy, So. 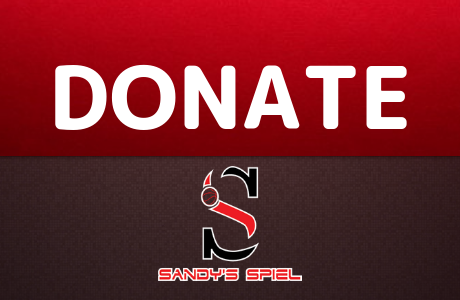 G – Kaila Hubbard, Holy Innocents’, Sr.
G – Jasmine Carson, McEachern, Sr.
G – Brooke Moore, Henry County, Sr.
F – Taniyah Worth, Flowery Branch, Sr.
F – Amari Robinson, Douglas County, Jr.
F – Taylor Hosendove, Westlake, Sr.
F – Deasia Merrill, Villa Rica, Jr.
F – AC Carter, Wesleyan, So. Player of the Year: Morgan Robinson-Nwagwu, Norcross, Jr.
G – Lexii Chatman, Newton, Sr.
F – Jaron Stallworth, Collins Hill, Sr.
G – Raven Johnson, Westlake, Fr. G – Lacie McCoy, Cherokee, Jr.
G – Catherine Shope, North Forsyth, Sr.
F – Javyn Nicholson, Collins Hill, Jr.
F – Lillian Kennedy, Mountain View, Sr.
G – Anastasia Warren, Westlake, Sr.
G – Jurnee Smith, Newton, Sr.
G – Bria Harmon, Collins Hill, Jr.
G – Diamond Hall, Colquitt County, Sr.
G – Victoria Agyin, McEachern, Sr.
G – Taylor Smith, Marietta, Sr.
F – Asia McCoy, Archer, Sr.
F – Cassie Markle, North Forsyth, Sr.
F – Kierra Adams, Brookwood, Jr.
F – Jazmine Robinson, Grayson, Jr.
F – Devyn Wilson, Norcross, Sr. Player of the Year: Olivia Nelson-Ododa, Winder-Barrow, Sr.
F – Ashlee Austin, Northview, Jr.
G – Sydnie Ward, Alpharetta, Sr.
G – Savannah Samuel, River Ridge, So. G – Azhana Maxwell, ML King, Sr.
G – Chellia Watson, Winder-Barrow, Jr.
F – Audrey Jordan, Harrison, Sr.
G – Harper Vick, Harrison, Sr.
G – Kassidy Broussard, Stephenson, So. G – Kennedy Cater, Creekview, Sr.
G – Latrice Perkins, Winder-Barrow, Sr.
G – Jamyah Montissol, Lanier, Sr.
G – Asjah Inniss, Northview, So. F – Shekinah Guthrie, Centennial, Sr.
F – Ayana Collins, Grovetown, Sr.
C – Kayla Brown, Lovejoy, Sr.
C – Sania Feagin, Forest Park, Fr. C – Destiny Thomas, Tri-Cities, Jr. Player of the Year: Tory Ozment, Buford, Sr.
G – Nadia Marshall, Bainbridge, Sr.
G – Ashley Foster, Eagle’s Landing, Sr.
G – Zamiya Passmore, Locust Grove, Jr.
G – Keshuna Patterson, Miller Grove, Sr.
G – Iyanna McMillan, Arabia Mountain, Sr.
C – India Bellamy, Dutchtown, Jr.
G – Shamyia Johnson, Banneker, Sr.
G – Caroline Wysocki, Flowery Branch, Jr.
G – Audrey Weiner, Buford, Sr.
G – Maegan Barkley, Fayette County, Sr.
G – Tamara White, Maynard Jackson, Sr.
F – Shynia Jackson, Warner Robins, Sr.
F – Jada Claude, Whitewater, Jr.
C – Elexus Bell, Carrollton, Sr.
C – Taya Gibson, Rome, Sr.
C – Taziha Fanning, Harris County, Jr.
C – Shondell Vickers, Ware County, Sr. Player of the Year: Brooke Moore, Henry County, Sr.
G – Anna McKendree, West Hall, Sr.
G – Tyler Collins, Woodward Academy, Sr.
F – Corriana Evans, Spalding, So. C – Oliva Cochran, Carver-Columbus, So. G – Jy’Kiera Long, Americus-Sumter, Sr.
G – Kamya Hollingshed, Luella, Sr.
G – Mariah Igus, Carver-Columbus, Sr.
G – Diarra Oden, Marist, Sr.
F – Jordan Bailey, Madison County, Jr.
G – Aryan Dozier, LaGrange, Sr.
G – Zaria Bankston, Luella, Sr.
G – Crystal Corley, Baldwin, Jr.
G – Janya Love-Hill, Carver-Columbus, Jr.
G – Adryana Maxwell, Madison County, Sr.
F – Kiana Banks, Spalding, Sr.
F – Keely Brown, Luella, So. F – Jazmin Allen, Jefferson, Sr.
C – Daija Powell, Sandy Creek, So. C – Brittany Reeves, Howard, Sr.
C – Jada Griffin, Northwest Whitfield, Jr. Player of the Year: Jenna Brown, Lovett, Sr.
G – Bubbles Williams, Johnson-Savannah, Sr.
G – Carly Winters, East Hall, Sr.
G – Mya Jones, Franklin County, Sr.
G – Taylor Sutton, GAC, Sr.
G – Alexis Boykin, Haralson County, Sr.
G – Torrion Starks, Hart County, Jr.
G – J’Mya Cutter, Johnson-Savannah, Jr.
F – Caria Reynolds, GAC, Sr.
C – Jada Clowers, Central-Macon, Sr.
G – Lou Reid, Morgan County, Jr.
G – Kaylee Sticker, Dawson County, Jr.
G – Tatiannya Morris, Beach, Sr.
G – Macey Gregg, Lakeview-Fort Oglethorpe, Jr.
G – Da’Nasia Shaw, Peach County, Jr.
G – Kashay Hankerson, Tattnall County, Sr.
G – Kennedi Williams, GAC, Jr.
F – Jabreika Bass, Beach, Sr.
F – Mary Martha Turner, GAC, Sr.
F – Jasmine Thompson, Johnson-Savannah, Jr.
C – Giana Copeland, Johnson-Savannah, Sr. Player of the Year: De’Sha Benjamin, Laney, Sr.
G – Dynesha Brown, Swainsboro, Jr.
G – Jhesskya Williams, Laney, Sr.
G – Georgia Stockton, Rabun County, Jr.
G – Kirstin Crook, Fitzgerald, Sr.
F – Allison Smith, Banks County, Sr.
F – Rykia Pennamon, Putnam County, Sr.
F – Tykedra Rolland, Josey, Jr.
C – Makayla Timpson, Early County, Fr. G – Tomiyah Alford, Lamar County, Jr.
G – Nekiyah Thompson, Douglass, Jr.
G – Ashanti Cobb, South Atlanta, So. G – Jashanti Simmons, Putnam County, So. G – Mercedes Coleman, Gordon Central, Fr. G – Destanee Wright, Dodge County, Jr.
G – Europe Brown, Dodge County, Jr.
F – Nijeria Jordan, Washington County, Sr.
F – Jahnaria Brown, Bleckley County, Sr.
F – Keyarah Berry, Rockmart, Fr. C – Shatara Goodman, Coretta Scott King, Sr. Player of the Year: Morgan Jones, Our Lady of Mercy, Sr.
G – Elizabeth Gibbs, Landmark Christian, Jr.
G – Weronika Hipp, ELCA, Fr. F – Sutton West, Wesleyan, Sr.
F – Kennedy Suttle, Holy Innocents’, Sr.
C – Jillian Hollingshead, Holy Innocents’, Fr. G – Kai Carter, Paideia, Jr.
G – Alex Widener, Calvary Day, Sr.
G – Ansley Hall, Prince Avenue, So. G – Paige Aronhalt, Landmark Christian, Jr.
G – Regina Metz, Pinecrest Academy, Sr.
G – Jada Farrell, Holy Innocents’, So. G – Nadia Reese, Stratford Academy, So. G – Mia Moore, St. Francis, Fr. F – Jordan Isaacs, St. Francis, Jr.
F – Arynn Eady, St. Francis, Sr.
C – Aminata Ly, Greenforest, Jr. Player of the Year: Brittany Davis, Greenville, Sr.
G – India Wells, Telfair County, Jr.
G – Mahogany Randall, Pelham, Sr.
F – Jamiya McDaniel, Terrell County, Sr.
C – Trajata Colbert, Wilcox County, Sr.
G – Jasmine Larry, Macon County, Sr.
G – Maci Holloway, Bowdon, Sr.
G – Miya Byrd, Turner County, So. F – Zakiyah Office, Turner County, Sr.
C – Ansley Whitley, Marion County, Jr.
G – Brianna Hinton, Wheeler County, Sr.
G – Ny’Asia Howard, Telfair County, Sr.
G – Ty’Shemia Ceaser, Quitman County, Sr.
G – Gracie Brunel, Lanier County, Jr.
G – Natera Perkins, Wheeler County, Jr.
F – Angel McCrae, Clinch County, Fr. F – Cire Foston, Georgia Military, Jr.
F – Torri Myers, Marion County, Sr.
C – Rylee Robinson, Bowdon, Sr.
C – Erykah Skinner, Macon County, Sr.
C – Tykira Campbell, Manchester, Jr.